You feel like you want to learn how to read the cards but probably, first you want to know all the information about the Tarot. If this is what you want to do, you have to have it clear that you are in the right track as before managing a technique of cards reading, it is a very good idea to start getting information about the story, the different decks, their meanings, etc. But, where can you learn all this about the Tarot?Luckily, today it is easier than some years ago, so if you want to know more about the Tarot, here you will find some options that will possibly help you. The first that we have to recommend you is, without a doubt, the books of the Tarot. 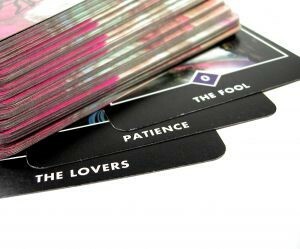 These can be easily bought today in bookshops and they are very useful to know the meanings of the cards. But, remember that they need to be focused in a deck with which you will have to start. But if you do not feel like buying books, it is not much of a problem neither as on the Internet there are hundreds of places in which you will be able to get all the information that you are looking for. From the tools on the Internet, the ones that we most recommend are the educative blogs to learn about the Tarot. In some of these blogs, the most complete ones, you can also find the meanings of the different cards in the different decks; you can also know many different kinds of decks and also the different readings that can be done. At the same time, you will be able to find a lot of different and varied information. And, as you have known all these options, do not stop looking for them and use them.